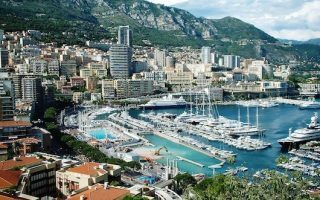 The Côte d’Azur, also known as the ‘French Riviera’, is the Mediterranean coastline of the southeast corner of France, also including the state of Monaco. 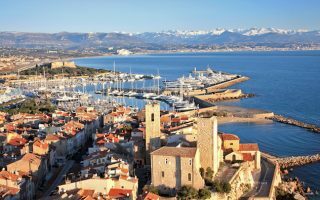 It’s a spectacular setting, with azure waters, yachts, hilltop towns, beaches, and the mountains Alpes-Maritimes in the background. The area is a popular tourist destination, on account of its beauty, beaches, and great weather. 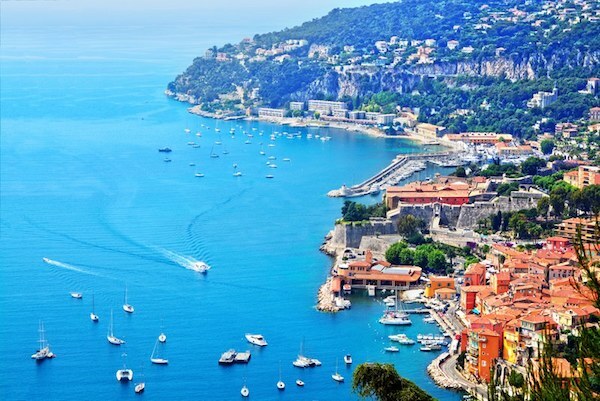 Our running guide for the Côte d’Azur features several spectacular routes along the water, in the area stretching from Cannes, east to Monaco, with Nice as the area’s ‘center’. 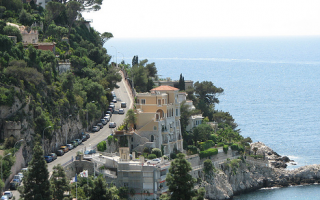 Some of the running highlights in the Côte d’Azur are the Promenade des Anglais in Nice, a ‘runseeing’ tour of Monaco/Monte-Carlo, and a tour of St.-Jean-Cap-Ferrat. 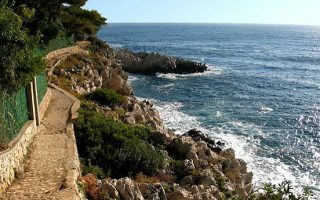 There’s a series of peninsulas, each if which has its own vibe, and great for running: Antibes, Cap de Nice (Coco Beach), Cap Ferrat, and Cap d’Ail. 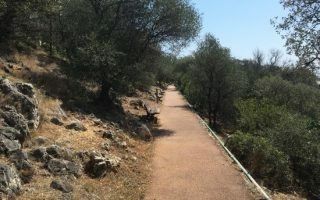 Our routes in these areas areas are a combination of road, seaside promenade, and in sections, ‘coastal trail’, known as the ‘sentier littoral’. 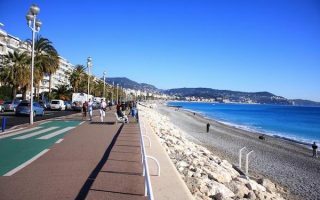 There are many beaches in the Côte, but they are crowded in season, and the sand quality is generally not suitable for running. Also note that some of the roads in the area are very narrow, with no shoulder or sidewalk. We’ve paid careful attention to that in designing our routes. One of the better, longer road running options in the area. It's 5.7 km from Nice to Villefranche-Sur-Mer, with good water views and a decent sidewalk/shoulder much of the way. Run one way and take the train back! Nice detour is 1 km Sentier Littoral. 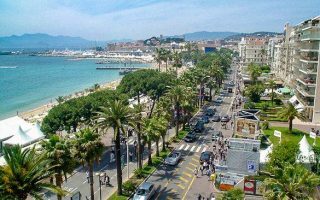 The climate is one of the main attractions of the Côte d’Azur. Sun is the rule. Summers are dry and hot, with high temperatures well into the 80s (27-30C), and warm nights. Winters are mild and great for running, with January high temps in the 50s (10-12C), and nights rarely dip below freezing. There is some rain in winter, but very little in summer–typical of a Mediterranean climate. This is a major tourist destination. Hotels are plentiful, and varied. If you’re a runner, try to stay in one of the areas near a good coastal promenade or road. 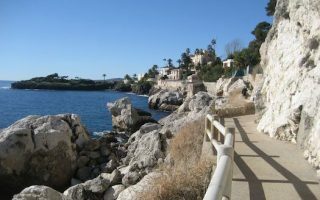 Anywhere central in Cannes, Nice, or Monaco will be great, or some of the better peninsulas for running, such as Antibes, Cap d’Ail, or St.-Jean-Cap-Ferrat. Consult our running ‘guide map’, or look for ‘sentier littoral’ when planning your trip. Courir Nice. Mainly running clothing. Endurance Shop. The only dedicated running store in the area. Nike Store in Monte Carlo. Sells lots of sports and lifestyle items, plus running gear. Nike Outlet Store. Running store on the main road between Antibes and Nice. Local running calendar, courtesy of Endurance Sports.